Good equipment can make your life so much easier! from upcycling a baby change table, adding a table top for screen printing on paper. and the finished height is just above 90cm, which is standard work/kitchen bench height. The table was bought second-hand from TradeMe for approximately $10. very handy when editioning, to ensure nothing spills on it. coated with a hard polyurathane floor varnish. 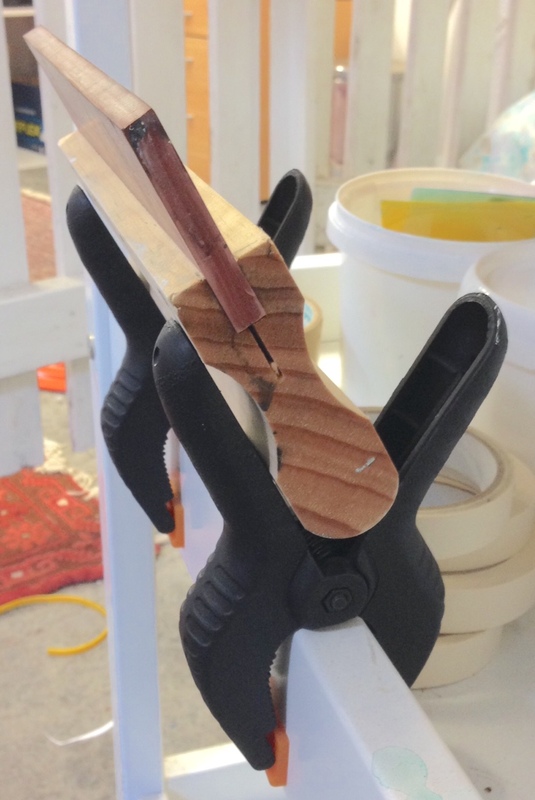 by the addition of some heavy-duty screen clamps from CCG. and I have a padded calico to print on. so it won't slide while printing (it's useful to own a few woodcut tools). and it also can me move to another table in seconds if needed. and therefore reducing likelihood of dirtying where your paper will be placed. with no wood-working skills or fancy equipment. 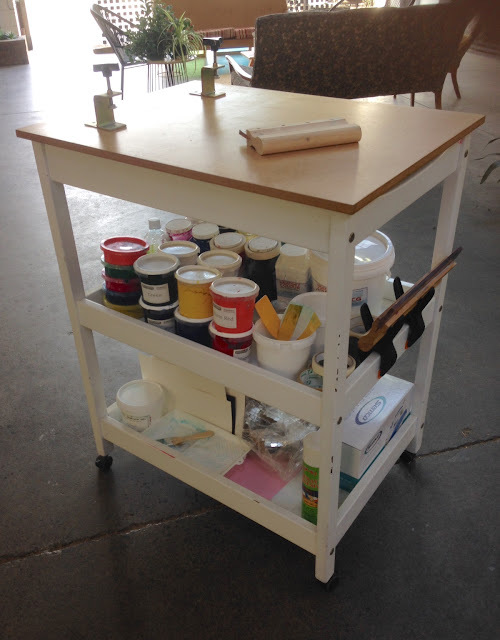 and as it is on castors I can move anywhere in the studio easily. I love to hear from you!!! On solid wood table 1400 long x 900 wide x 775mm high on wheels with shelf underneath. Want to learn the basics of screenprinting in one day? as well as plenty of hands-on printing time. with only 3-4 students per class, it can be tailored to your own project ideas.